Every week we present a new special cocktail menu filled with cocktails for 110:- based on one of our favorite brands. 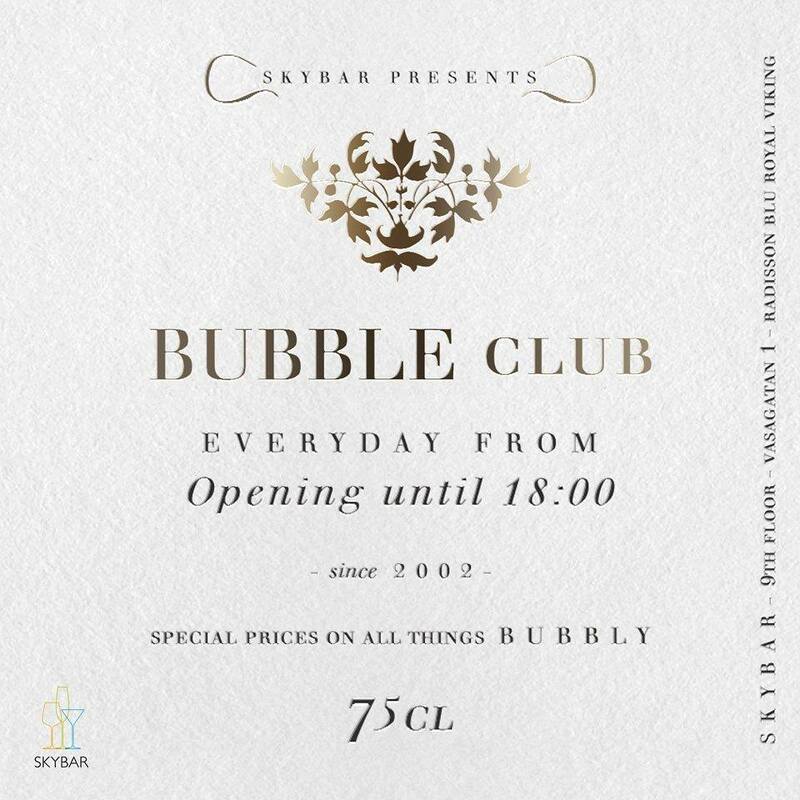 Every day from opening until 18:00 our guests can enjoy all things Bubbly for special prices. 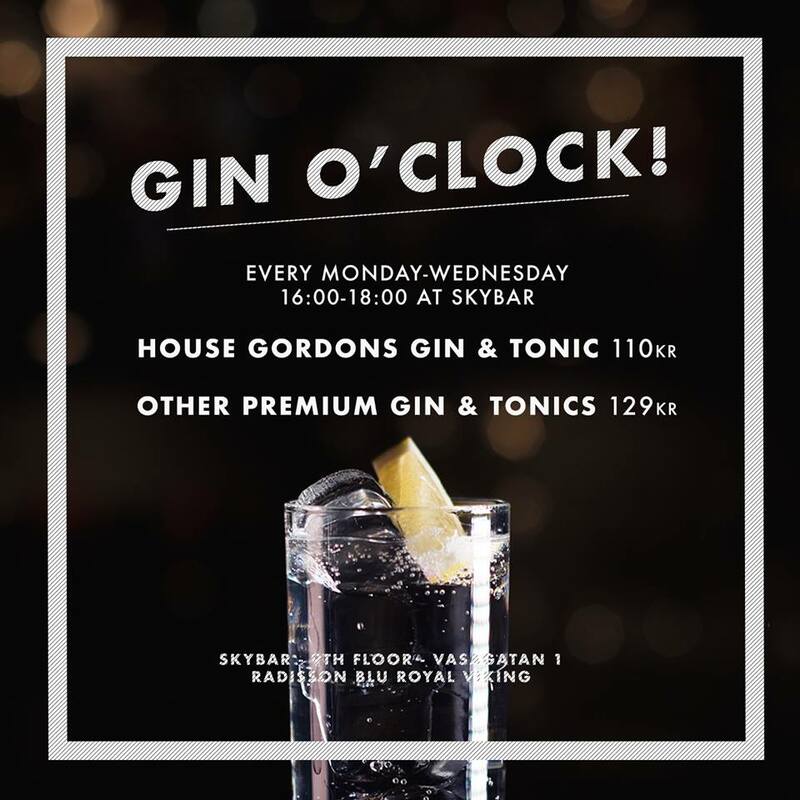 Monday to Wednesday from opening until 18:00 its Gin O´Clock. Choose between our house gin in your Gin & Tonic, or compose your own with one of our Premium brands.